Bearing witness to the baroque clusterf*ckery of the world is no longer voluntary. We are all forced to watch. Every possible catastrophe vibrates in our pockets, demanding to be witnessed. 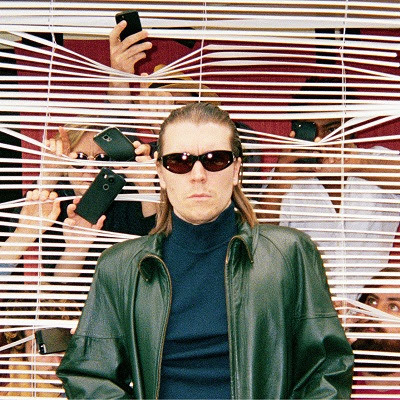 In his second album, Forced Witness, out Friday September 8 on Secretly Canadian via Inertia Music, Alex Cameron’s solution to the difficulties we face is a danceable and dangerous earnestness, a sense of honesty that heals and relieves even as it cleaves us or makes us laugh in self-defense. He’s offering us vivid portraits of misfits who look at the world without illusion.